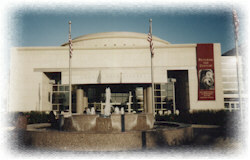 Team Wash Guys visited the George Bush Library in College Station, TX at the Texas A & M University. Our team has a few former students as franchisees. 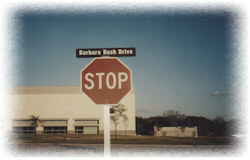 The entrance road to The George Bush Library is Barbara Bush Drive. We thought this sign was funny because no one or thing can "Stop" Barbara Bush. She is one accomplished and determined woman. She is America's Grandma, so stand up straight, and eat everything on your plate. Most of America has a fondness for this sweet woman. Out front is a piece of The Berlin Wall. The Iron Curtain fell on George Bush's watch. A great accomplishment for the free world. The Museum is great, it makes you proud to be an American. Their family boat "Fidelity" is on display. If you were to pick one word to describe what George Bush Sr. stands for, it would be "Fidelity". 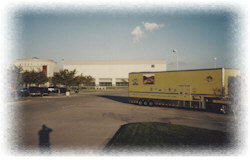 To learn more about George Bush Sr. we recommend his book "All The Best" click here to order a copy at Amazon.com. 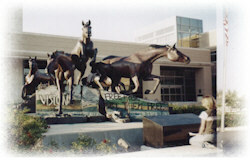 Click here to go to the Bush Library official website.